The International Builders Show (aka IBS) is coming to the Orange County Convention Center in Orlando Florida January 9-11, 2018. Along with the beautiful exhibits displaying the latest and greatest products and services now available for your home, there are many training sessions where real estate and building professionals, along with people interested in general business best practices, learn from industry experts. 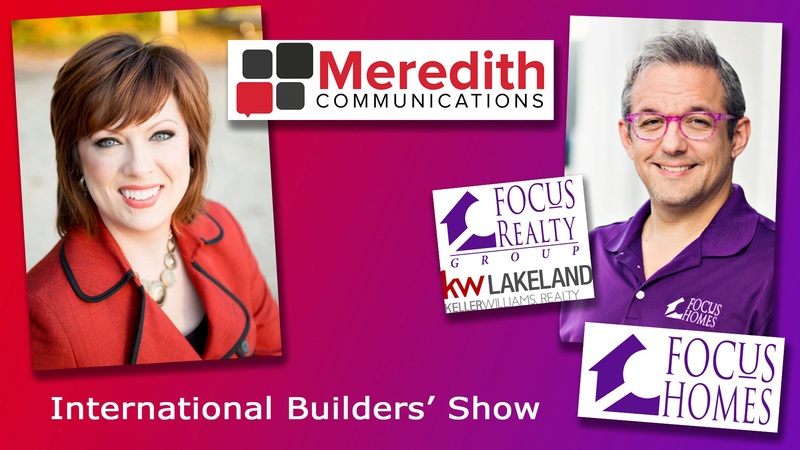 Come see national speakers Meredith Oliver, from Meredith Communications in Raleigh NC, and Jared Weggeland, from Focus Homes and Focus Realty Group, KW Lakeland, in Lakeland, FL on Tuesday Jan 9 from 10-11 am during their session, "Drop the mic: Personal Branding Strategies That WOW!"